This entry was posted in Combat dice systems, Complexity in game rules, Conflict challenges, Game challenges, Game rules, Game Testing, Player stress, Simplifying game rules, Sovereign light, War strategy boardgame by Ruben. Bookmark the permalink. I like the concept of the numbered hex tiles. It certainly would play much quicker. I noticed that in the light rules about the Helicopter transport that it can carry 2 units. Perhaps those two units should only be ground units. i.e. a tank or horse would not physically be capable of being transported in this method. reaԁing very informatiνе artiсles at this time. Just because a game needs a chart for determining battle outcomes does not mean it will slow down play for all time. Once a fairly simple ruleset has been employed, players will eventually learn what the outcome will be without the need for using a chart. If the game is immersive and fun, players will be more apt to go the way of patience in regards to learning the game. @Justin: I agree, that the game would not slow down once players became accustomed to the chart, but that does then depend on the complexity of the chart. 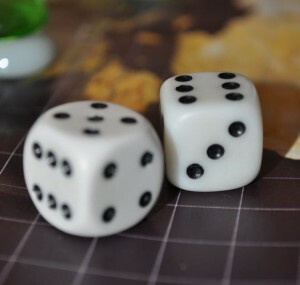 The system changed slightly in the end to 12 sided die, as this allowed for a greater variance in the possible attack/defend value so that players who were a little behind in technology might still have chance of winning battles. I also agree that if a game is immersive and fun, players will happily be patient, and this has been the case with any games we’ve played. At the same time I am trying to keep barriers to taking up play to a minimum so as to encourage new players to play. I appreciate your thoughts on the matter, thanks.